This book provides an introduction to the core features of the Python programming language and Matplotlib plotting routings for scientists and engineers (or students of either discipline) who want to use Python™ to analyse data, simulate physical processes, and render publication-quality plots. No previous programming experience is needed before reading the first page. Readers will learn the core features of the Python programming language in under a day. They will be able to immediately use Python to implement codes that solve their own problems and make beautiful plots and animations. Python code is extremely fast to prototype, allowing users to achieve results quickly and accurately. The examples within the book are available for download at the companion website pythonessentials.com. 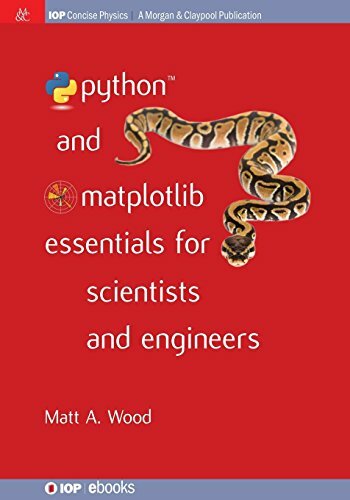 Python and Matplotlib Essentials for Scientists and Engineers is accessible for motivated high-school students, but will likely be most useful for undergraduate and graduate students as well as working professionals who have some background with the basic mathematical concepts. This book is intended for technical people who want to get things done. If you have any questions about this product by Morgan & Claypool, contact us by completing and submitting the form below. If you are looking for a specif part number, please include it with your message.